David is a Senior Lecturer in Marketing and is Recruitment/Admissions Tutor for Business Studies undergraduate programmes. He has a BA(Hons) degree in Marketing (Engineering), an MA in Professional Development (Higher Education Practice) and is Fellow of the Higher Education Academy (FHEA). He is currently undertaking a PhD in Politics by part-time study. 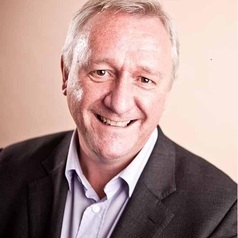 He started his career in the computing and communications industries, working in strategic marketing planning and technical sales roles, before joining the University as a lecturer in 1990. He is one of the longest serving and most experienced members of staff in the Department of Strategy, Marketing and Economics, and has developed and taught a wide range of modules for undergraduate and postgraduate courses. He developed and led the unique BA(Hons) Marketing with Innovation degree. David’s research interests are in the areas of consumer behaviour, politics, higher education practice, creativity and innovation management. He has undertaken research into consumer co-production, marketisation of higher education, student engagement, collaborative innovation and technology adoption and diffusion in banking and retailing.